Ethelbald, the eldest surviving son of King Ethelwulf and his first wife, Osburh, was born around 831-834. His mother Osburh, was the daughter of Oslac, King Æthelwulf's butler, who is described as a descendant of King Cerdic's Jutish nephews, Stuf and Wihtgar, who conquered the Isle of Wight. 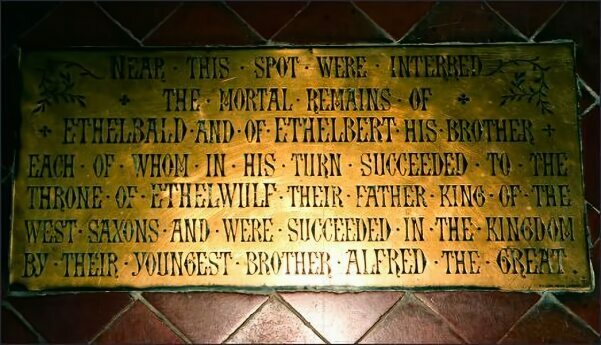 Ethelbald's father, King Ethelwulf, embarked on a lengthy pilgrimage to Rome, taking with him his youngest and favourite son, Alfred, whom he hoped to name as his heir. During the King's absence, Wessex had been governed by a council of ministers under the joint leadership of Ethelbald, St. Swithin, Bishop of Winchester and Bishop Ealstan of Sherborne. In a pre-emptive move Ethelbald was crowned King of Wessex at Kingston-upon-Thames before his father's return. On his way back from Rome in 856, Ethelwulf stayed at the court of the Holy Roman Emperor, Charles the Bald. In July of that year he was betrothed to Charles's daughter, Judith, who was no more than fourteen, while Æthelwulf was about fifty years old at the time. On 1 October 856 the couple were married at Verberie in northern France. The marriage was a diplomatic alliance. Both kings were suffering from Viking attacks, and for Ethelwulf the marriage had the added advantage of associating him with Carolingian prestige. In Wessex it was not customary for kings' wives to be queens, but Charles insisted that his daughter be crowned queen. Ethelbald was the very antithesis of his pious and mild-mannered father, he was a tough and hardened warrior like his grandfather, Egbert, many were sorry that the ageing Ethelwulf, never an inspiring figure, had returned at all, much preferring the rule of his warlike son. Ethelwulf prevented the looming prospect of civil war by his acceptance of the situation and abdication. 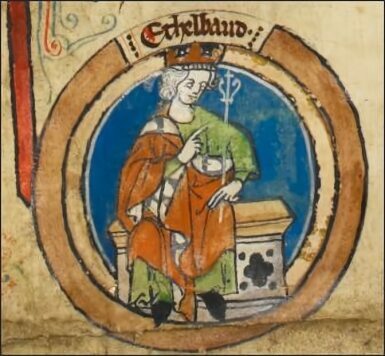 Despite the scandal with his step-mother, Ethelbald made a popular king. 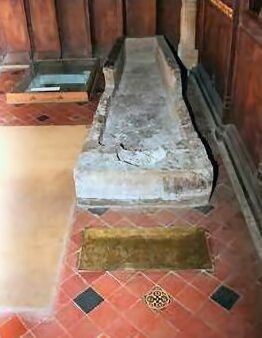 He died at Sherbourne in Dorset on 20 December, 860, aged around 35, after a reign of four years. He was buried at Sherbourne Abbey, his tomb and that of his brother, Ethelbert of Wessex, are situated in the The North Choir Aisle of the abbey. He seems to have been greatly mourned by his people, although Bishop Asser describes him as being "headstrong and arbitrary" It should be remembered, however, that he evoked the censure of the church through his uncanonical marriage, making Asser's opinion of the King a highly biased one. After Ethelbald's death, Judith of France sold her properties in Wessex and returned to her native France, where her outraged father, Charles the Bald, sent her to the Monastery at Senlis. At around around Christmas time 861, Judith eloped with Baldwin, later Count of Flanders. Judith's father was furious and ordered his bishops to excommunicate the couple. They later fled to the court of Judith's cousin Lothair II of Lotharingia for protection, before going to Pope Nicholas I to plead their case. The Pope asked Judith's father to accept the union as legally binding and welcome the young couple into his circle, which ultimately he eventually did. The couple then returned to France and Judith was officially married for a third time at Auxerre in 863. Through her third marriage Judith was the ancestress of another Queen of England, Matilda of Flanders (circa 1031 - 2 November 1083) the daughter of Baldwin V, Count of Flanders and the consort of England's first Norman King, William the Conqueror. Baldwin II, Count of Flanders, (died 918) one of Judith's sons by Baldwin married Elfthryth, a daughter of Ethelbald's brother, Alfred the Great.